The Public Cloud SIG will help Fuel members understand the best practices for using a public cloud solution to host applications, store data, or to otherwise expand the capabilities of their organization securely, rapidly and seamlessly. The SIG will address the needs of specific audiences, topics, and products. Organizations that considering public cloud solutions like AWS or Azure. 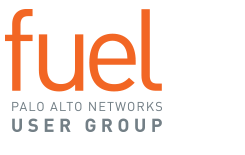 Organizations with a current deployment that use the Palo Alto Networks VM-Series to secure them. Security and networking professionals interested in learning more about the differences in securing a cloud environment.